Deadly chemical substances in clothing of the biggest brands?! Greenpeace calling to start detoxication! The dangerous chemical substances which may cause cancer or hormonal disorders have recently been discovered in products of the most famous brands! – that is the latest statement of Greenpeace organization located in Beijing. The foundation has even started a campaign: “Detox Zara”. In 2012 Greenpeace bought samples of top 20 brands selling their products in 29 countries and world regions. Those were mainly dresses, t-shirts, trousers and lingerie items made in China and some other developing countries. Then the products were tested and the results happened to be terrifying. In two thirds of 141 clothing samples the nonylphenol ethoxylates (NPE – detergents which are endocrine disrupting) have been found! Besides the fabrics also contained phthalates and carcinogenic dyes (cancer causing chemicals). Concerning brands are the biggest in the market and if they agree to ‘detox’ their dirty politics, other smaller companies will have to follow them. In this context, seven major international companies have committed to change. Those are: Puma, Nike, Adidas, H&M, M&S, C&A and Li-Ning. On the other hand, another textile giant – Zara, stays indifferent to ‘go toxic-free’ appeals. 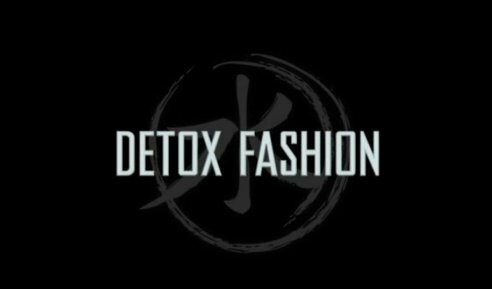 That is the reason of the ‘Detox Zara’ campaign which seems to be very effective, as volunteers from all over the world – fashion lovers, activists, bloggers and denizens of social media began to share their desire for ‘fashion without pollution!’ and after a week of intense public pressure the Inditex group seems to be more willing to solve its toxic pollution problem. Zara commitment to get rid of the hazardous chemicals would be a milestone in the way clothing is manufactured. Still, among the brands where NPE was also found there are: Calvin Klein, Levi’s, GAP, Esprit, Diesel, Only, Vero Moda, Benetton, Emporio Armani and Mango.